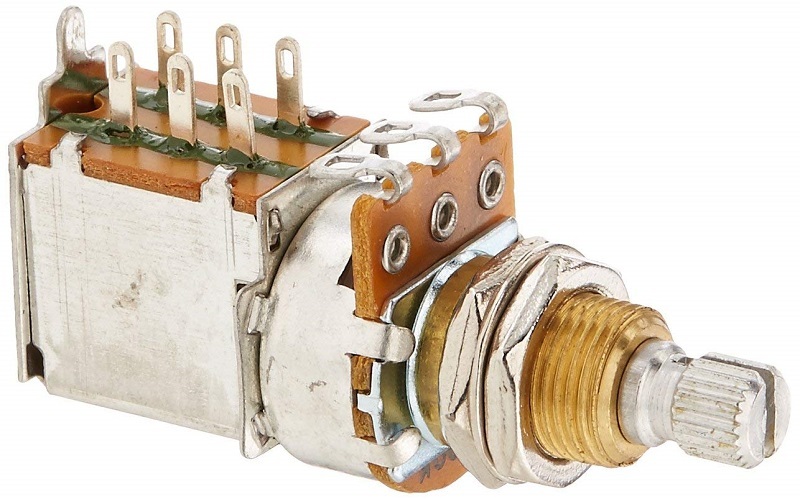 500k ohm pot with push/pull actuator switch used for humbucking pickups. 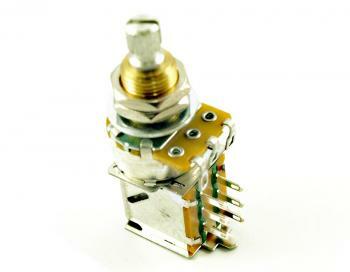 Provides capability for such applications as coil tapping, splitting, and phasing. Length of threaded bushing = 3/8 in. Length of shaft = 3/8 in.